Divided into two integrated divisions of consulting and creative, FreshBlood Group is a unique up-stream, down-stream solutions provider for healthcare markets. Its consulting division specializes in brand development and commercial positioning, and pre-launch market preparation while the creative division executes full-on launch initiatives, creative campaigns and communications that target the spectrum of health industry channels and stakeholders. After heading his own top-tier, independent healthcare ad agency, Kane & Finkel, for 18 years, Finkel introduced FreshBlood Health Market Consultants in 2015 as a unique consultancy model comprised of a close-knit network of senior-level strategy, communications and medical specialists targeting pre-commercialization life science companies. Moreover, FreshBlood focused on supporting companies bringing “first-of-kind” healthcare brands and novel solutions to market. Finkel’s initial consulting model proved successful, evidenced by the fact that FreshBlood increased its revenues by tenfold since its inception as well as doubling its year-over-year financial performance in 2018. However, there was ongoing demand for more extensive creative services from FreshBlood’s growing roster of clients, including Inovio Pharmaceuticals, Rigel Pharmaceuticals and Revance Therapeutics. This sustained market feedback led Finkel to expand and reconfigure as FreshBlood Group. – Inovio required FreshBlood to oversee a full corporate rebranding strategy and creative execution to better frame the company’s value to stakeholders, including investors, opinion leaders and physicians. Inovio’s core offerings as an industry innovator in combating infectious diseases had to be recast to include future products focusing on immuno-oncology. FreshBlood’s creative and executional work included company and technology platform positioning language, new corporate website and mechanism of action animations. – RIgel Pharmaceuticals tasked FreshBlood with aiding their company with the launch of their first product, a novel treatment for adult patients with chronic immune thrombocytopenia (ITP), Tavalisse, in crossing the finish line. The product is a first-in-class pharmaceutical agent for this difficult-to-treat chronic condition. As such, FreshBlood advised Rigel with its FDA submission, and launched the brand to physicians, patients and payers. – Revance Therapeutics, as a long-tenured FreshBlood client, tapped into FreshBlood for the development of foundational brand architecture and investor strategies, corporate logo design, website creation. In addition, FreshBlood helped guide the company through early branding efforts, as Revance prepares to enter the highly competitive aesthetic dermatology and broader therapeutic market currently dominated by Allergan’s category leader, Botox. FreshBlood Group is a uniquely bespoke up-stream, down-stream solutions provider for newly established life science companies. Its consulting division specializes in brand development, commercial positioning, and pre-launch market preparation; while the creative division executes creative campaigns and communications that target the full spectrum of health industry channels and stakeholders. 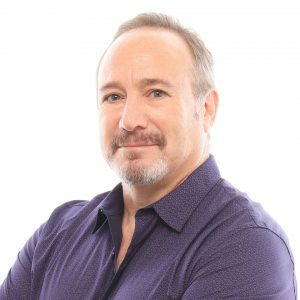 Headed by Robert Finkel, one of the preeminent marketing authorities in the healthcare industry, FreshBlood Group specializes in servicing pre-commercial life science firms and companies bringing “first-of-kind” healthcare products to market. Clients include: Inovio, Rigel, Revance, Oncopeptides, Menlo Therapeutics, and Aclaris Therapeutics.